Running around in circles may frustrate most people. Not West Feliciana High School's Kam Jackson. Few can argue with the outcome. Jackson, a Baylor signee, will be among the top performers scheduled to compete at LSU’s High School Qualifier set for 11 a.m. Saturday at LSU’s Carl Maddox Fieldhouse. Jackson won the 60-meter dash at the LSU Indoor Classic held two weeks ago. His time of 6.94 seconds ranked third nationally on an early indoor list of top times. The LSU Classic is a meet that attracts a number top competitors competing for track clubs from multiple states. It was enough to net Top Louisiana Boys Performer honors. King also said he thinks Jackson’s devotion to track was the perfect on-the-job training for his new role as the leader for West Feliciana team that has won three straight Class 3A outdoor track titles. Derius Davis, one of the nation’s top 400 meters runners for two seasons, helped lead a talented sprint corps that included the likes of two other now-graduated standouts, Derek Turner and Davon Harris. That trio of graduates all chose to pursue football first. Davis (TCU) played as a true freshman. Turner and Harris both redshirted at Louisiana Tech last fall. 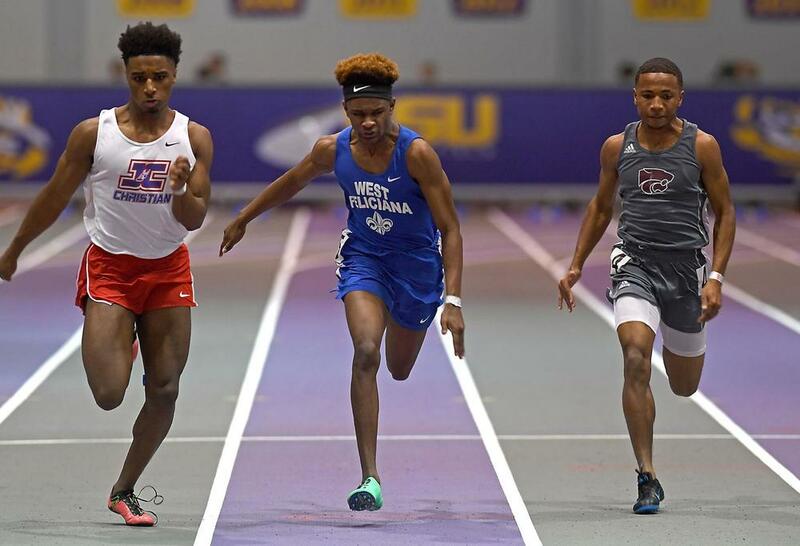 After missing almost all of his sophomore season with an injury, the 2018 LHSAA Indoor and Outdoor meets were a coming-out party for Jackson, though others typically grabbed the spotlight. He won the Division II indoor 60 meters title in 6.86 seconds last February and then won the Class 3A 100 meters outdoors in 10.59 in May.